Petri Plumbing & Heating fixes all heating problems – heat pumps, boilers, furnaces, and more. We are Suffolk County’s home heating experts. The last thing anyone wants to deal with on a cold, winter day is a heating breakdown. 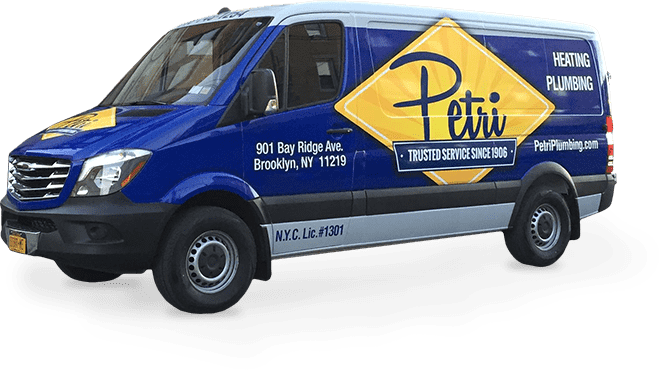 Petri Plumbing & Heating, Inc. & Heating expert technicians are experienced on all systems, whether you have a heat pump or boiler, and will get your heating system up and running quickly. We also specialize in heating system maintenance and heating tune-ups so you can prevent breakdowns, extend the life of your heating system, and save money on your heating bills by keeping your system running efficiently. We service all makes and models of heating systems – Lennox, Carrier, Trane, Heil, Bryant, Burnham, Amana, Goodman, Coleman, Rheem, Weil-McLain, Slant/Fin and more. Need a reliable heating repair company with four generations of experience? Call us today at 718-748-1254. We are confident you will notice our professional, friendly, and eco-conscious approach to plumbing and heating.